Child therapist Kathy Hegberg developed the program "Focused Kids." It teaches young kids how their brain works and it's being used at low-income preschools in the Roaring Fork Valley. A growing education program in the Valley is teaching preschoolers how their brain works so they can focus on learning. The “Focused Kids” program is being taught to low income, mostly Latino kids, in a unique preschool. 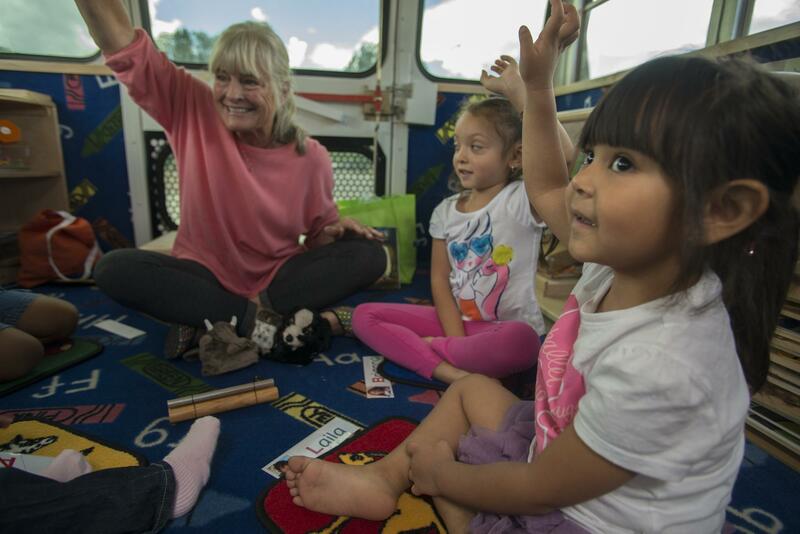 As Aspen Public Radio’s Marci Krivonen reports, this new program is happening inside a school bus. Inside El Busesito, a small group of students and teachers are playing games on the carpeted floor. It’s a comfortable space that doesn’t look at all like a bus. The seats have been removed to make way for books and toys. 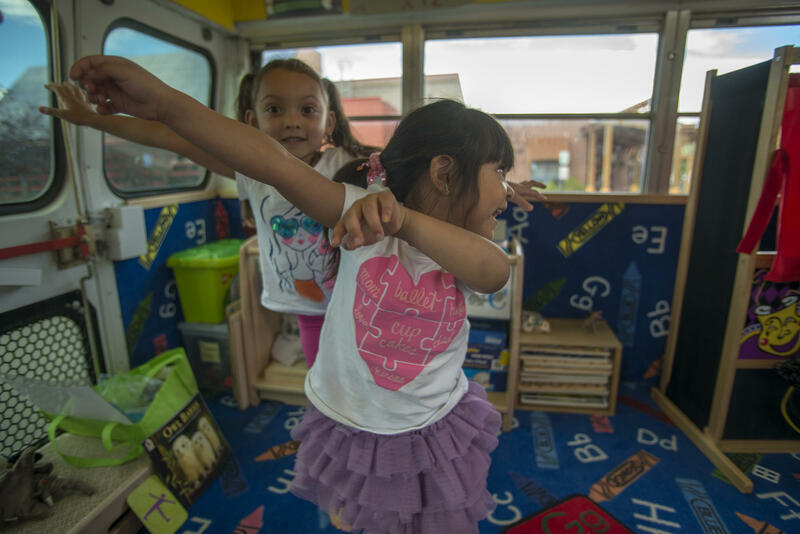 The bus makes stops in Glenwood Springs and Carbondale, offering free preschool to low-income families. It’s a needed service. According to a 2011 survey, less than one percent of poor immigrant families in the Valley have kids enrolled in preschool. Part of the "Focused Kids" program uses puppets that represent different parts of the brain. "What we know is that children’s brains are growing faster between the ages of one and five than any other time in their life," she says. "Our goal is to help them learn how to build neuro-connections around focusing and calming down, so their brains are ready to learn." Hegberg uses puppets in her lessons about the brain. An owl puppet represents the prefrontal cortex, where things are learned and problems solved. The hippocampus, where memory is stored, is an elephant. "This is the guard dog, the pink dot on the brain, it’s the amygdala. And, he’s sort of the emotional ruler of the brain," Hegberg says. The idea is to teach kids how to control an overactive amygdala, which can stymie learning, by breathing deeply. Hegberg uses a toy “breathing sphere” that expands and contracts. Once the amygdala is calm, all three parts of the brain can work together and the kids can focus. Hegberg’s curriculum uses other tools too like a chime and movement. Besides puppets, Kathy Hegberg also uses movement in her Focused Kids curriculum. El Busesito teacher Kenia Reyna says she’s seen the benefits of the brain instruction. "In our group last year we had a little boy whose problems were really bad but, whenever he would come on the bus, he’d just go straight to the breathing sphere and he would just sit there by himself and calm himself down and say, ‘okay, I’m ready.’"
She says many of the students come from high stress homes, so learning how to cope is an important early lesson. "They come from broken families, so this teaches them that they can separate themselves from that and go calm themselves down. They have say in their own lives - even though they’re five, they’re in charge of their own brain." Elaine Grossman is with the Valley Settlement Project, the program behind El Busesito. "We see Focused Kids as our social and emotional learning component of El Busesito," she says. The Chicago-based Collaborative for Academic, Social and Emotional Learning researches this kind of learning. They have found developing kids’ social and emotional skills is critical to being a good student, citizen and worker. And, it can prevent or reduce risky behaviors. Grossman says they’re tracking this kind of learning to gauge its success. "What we’ve learned is that, if the brain isn’t in a place where it’s able to take in new information. If a child, for example, is hungry or afraid, their brain is less receptive to being able to take in new information and learn," Grossman says. There are critics of Social-Emotional learning. A blogger for Scientific American wrote in 2012 such programs can interfere with a child’s innate self-regulator, the conscience thus, impeding his or her moral development and ability to learn. Back inside the bus, the kids are wrapping up their lesson with psychologist Kathy Hegberg. She’s already taught the Focused Kids techniques to 100 kids and their parents and she anticipates teaching another 100 this school year. El Busesito is also expanding to Basalt and Vail. 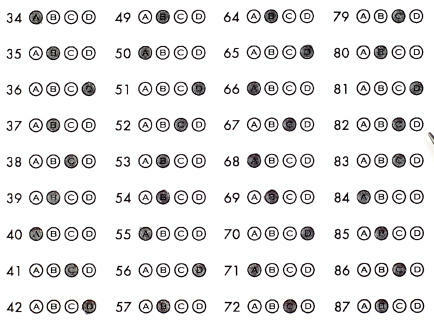 No, my vote is for "standardized test." That's right. You felt it, didn't you? Shivers up the spine. The stab of a No. 2 pencil. And oh! Those monstrous, monotonous bubbles. They may as well be a legion of eyes staring back at your inadequacy. School started this week for K-through-twelve students across the Roaring Fork Valley. This school year, kids in the Roaring Fork School District will see subtle changes. 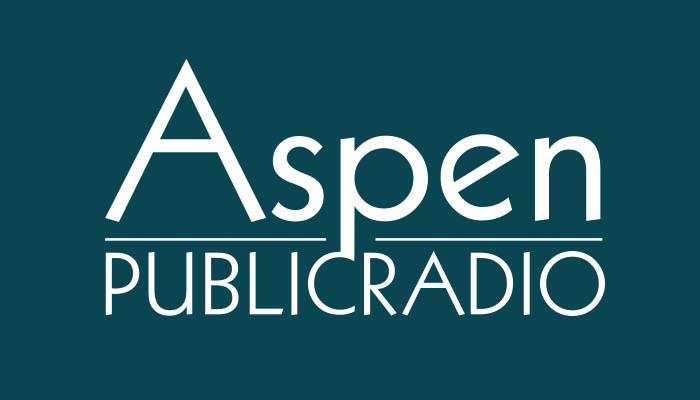 The district operates schools from Glenwood Springs to Basalt, and it’s rolling out a “visioning process.” Aspen Public Radio’s Marci Krivonen spoke with Superintendent Diana Sirko about what the process means for kids in the classroom. Diana Sirko is Superintendent of Schools for the Roaring Fork School District. It operates twelve schools, serving 5800 students in Basalt, Carbondale and Glenwood Springs. The Roaring Fork School District's Visioning Process with Dr. Diana Sirko, Superintendent of Schools and Dr. Rob Stein, Assistant Superintendent and Chief Academic Officer.